This continues the story which began with The Emperor’s Railroad, and which will clearly be continued. However, it is a complete story and stands alone quite well. See related articles on Tor.com. 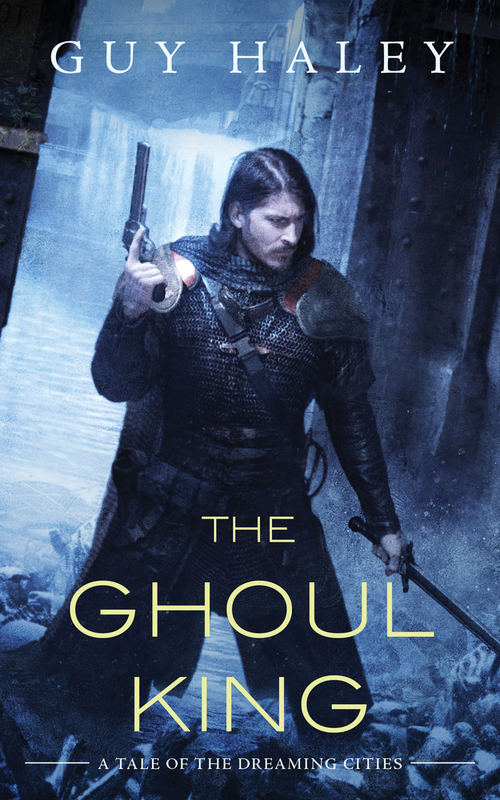 "The Ghoul King," by Guy Haley [bio] (edited by Lee Harris), published on July 12, 2016 by Tor.com. Pro: This novella has a complete, independent plot: Quinn gets to Columbus, finds what he was looking for, and moves on. In a weird way, the narrator, Jaxon, also gets what he wanted: the angels take him away to Pittsburgh, where he'll learn more of their technology than he ever dreamed. And Rachael, who wanted to be in a position to teach people about technologies from the Gone Before will be able to do so, as an angel of Columbus herself. Quinn has enough humanity to him to make him a sympathetic character, although he's ruthless enough to not be all that sympathetic. The choice not to make him the focus character is excellent, since we only see him as a hero--the way those he protects see him. The nature of the post-apocalyptic world continues to be fascinating. We learn a lot more about it than we did in "The Emperor's Railroad," and it leaves us eager to learn more. Con: There's little or no emotion in the story. Jaxon is a bit too pathetic to care about, Rachel is too single-minded, and Quinn is too invincible.